to tables with computers. 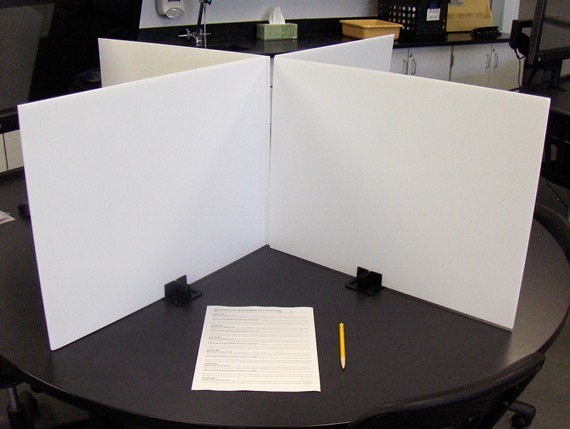 . .
Our Test Dividers and Space Dividers work extremely well in Computer Labs. They can be easily set up and then either left up or taken down. They provide space for individual work and help to minimize distractions in the Computer Lab. Computers and technology are used more and more in our schools. Unfortunately, with the age of many of our schools, the rooms were not designed to have computers. 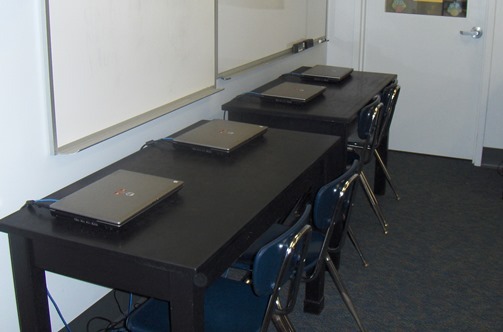 In an attempt to keep up, some classrooms have been redesigned with tables to accommodate laptop and desktop computers. Many times the computers are just sitting on the tables. 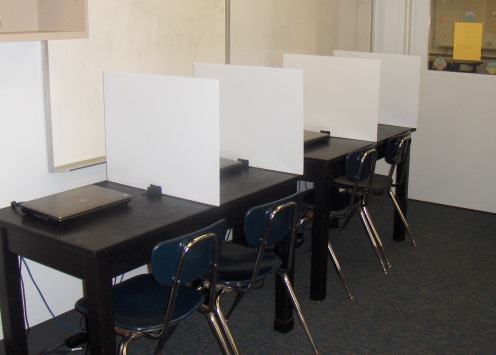 Our Test Dividers and Space Dividers solve this problem of having tables and transform the space into a smaller, more personal space for working on individual computers. If you want to work in groups, simply reconfigure the Space Dividers to fit your lesson plan. From tables with laptops. . .
Students are able to concentrate on their computer in their own space. 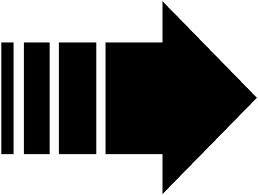 Whether for an exam, for research, for working on a project or doing homework. Personal space when and where they want it and need it! Working with a partner - just reconfigure the space!